Pat Raimondo is known behind the bench. In 2000, he quit his job as coach of the McGill Redmen to start fresh and take on the role of head coach for the Montreal Carabins during their inaugural men’s soccer season. Raimondo saw great potential at the rival school. Montreal had everything it needed to develop a high-level soccer program, The infrastructure was good, the student population was abundant (65,000), and the city always attracted good athletes." Raimondo had reason to believe in the team's strength. 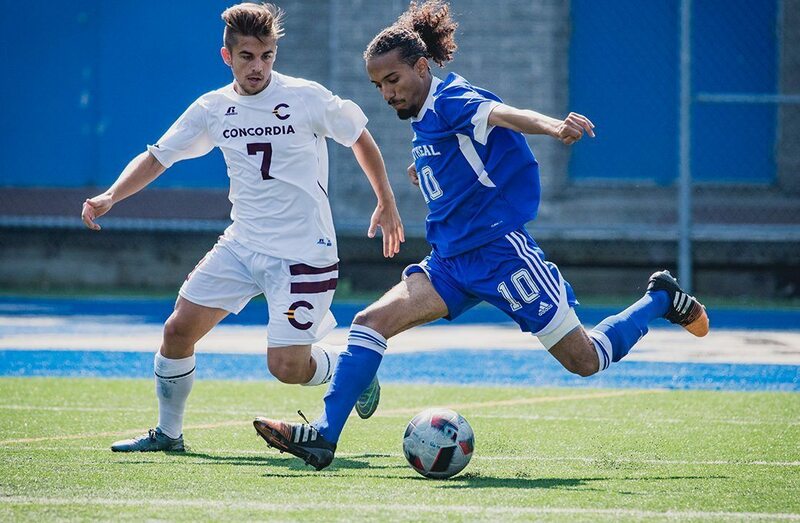 Since his arrival in Montreal, the Carabins had won the bronze medal at the U SPORTS Men’s Soccer Championship on three occasions. 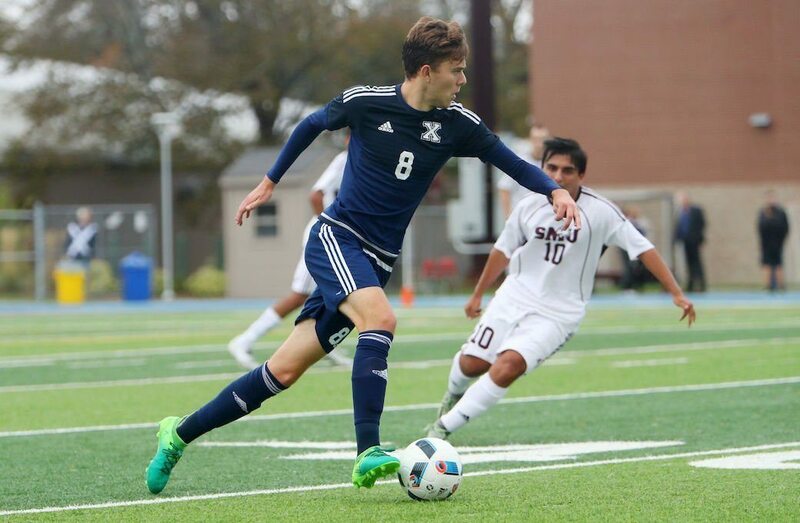 This year, they are preparing to face the toughest opponents of Quebec in the conference championship, aiming to advance to the national tournament and win a gold medal for the first time in the team's history. 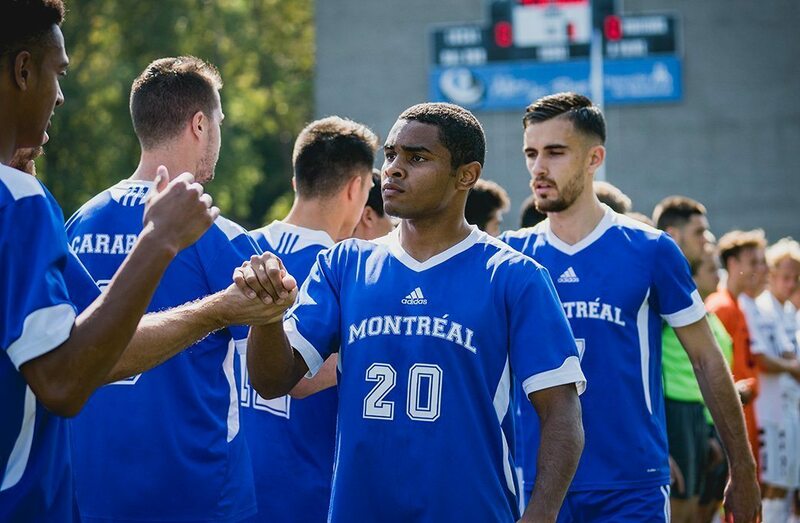 The team is currently ranked first in the country, with 10-0-1 Thanks to their stellar campaign, the team clinched first place in the Réseau du sport étudiant du Québec (RSEQ), guaranteeing their spot in the semifinals on Nov. 3. Raimondo loves the group’s prowess and the cohesion. "The team is young and loves to play. It doesn’t get sidetracked by outside distractions. Players are always up to the task and are all on the same wavelength. This group makes me love my job, it makes it easy." Hidden on this unified roster is the fact most of its players come from various international cultures and soccer doctrines. Eleven players on the Carabins, including Omar Kreim and Guy Frank Essome-Penda, do not hail hail from Canada and bring diverse international experience and great value to the team. Kreim, evolving at center field, dribbled his first soccer ball in Africa, later refining his skills in Europe. The 22-year-old joined the Carabins in 2016, after Cégep. His collected demeanor is an asset on the field. I'm a calm player when I have the ball, but I also bring the intensity when we need to regain control. As a team, the goal is to be in possession and attack when the chance arises. According to Raimondo, Kreim is a complete player. "He’s among the best in the country,” he says. “He’s versatile and simple; he’s here to play. He’s valuable in all situations." His teammate, Essome-Penda, scored his first goals in Russia. Also 22 years old, he moved to Quebec at just 15 in 2010. Speaking only Russian, he spent a year catching up before enrolling in francophone schools. Now trilingual and studying computer engineering, he speaks both english and french well. Having not been chosen to be part of the team in 2015, Essome-Penda has since made great strides. "After high school, I was playing with my college,” Essome-Penda says. “From there, I went to open tryouts with the Carabins because a friend encouraged me to try. In 2015, I hadn’t made the team but in 2016, coach Raimondo chose me." Raimondo confirms that Essome-Penda is quickly improving. Essome-Penda is still adjusting to the Canadian game. In Russia, the game is slower, less intense, It is more technical and tactical - it's defensive. In Canada with the Carabins, it’s fast. We attack very aggressively. Adapting to a new style of play can be challenging with such a diverse team, but Essome-Penda thinks otherwise. "It’s true that such a variety has a significant impact on the style of play at the beginning,” says Essome-Penda. “Different countries have different ways of playing. But it's not difficult to adapt. Here, the priority is that we’re all on the same wavelength on the field. We execute our coach’s plan, and there’s no problem." Raimondo also views the various cultural heritages on the Carabins as a strength. He is used to training a diverse team. "Montreal is a cosmopolitan city so it is a phenomenon that exists,” he says. “Normally, only one third of our regular players are Quebec natives. This year, we have ten nationalities in our locker room. It’s a product of our city’s diversity and the university’s recruitment, and the home of Quebec and Quebecers. For our soccer team, it is a treasure to have five or six different cultures of game. We must have an open mind. We can all learn new things. 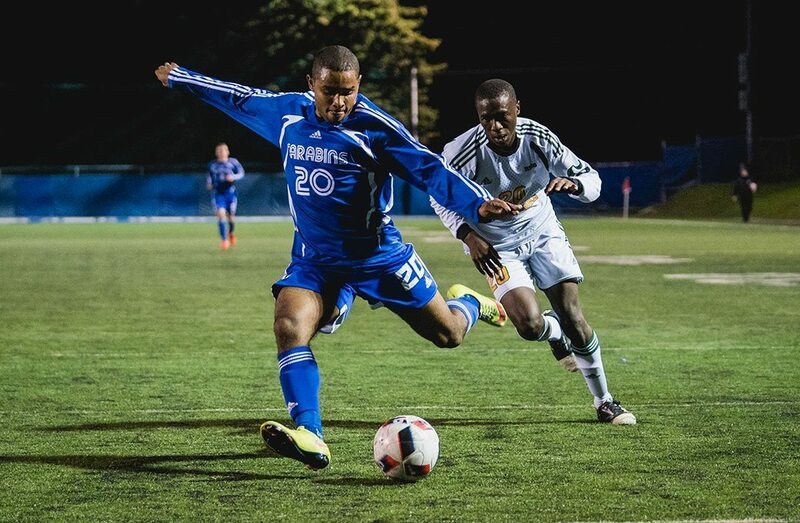 The Carabins’ multiculturalism is as much an asset outside the game as it is on the field. "In the locker room, we speak Spanish, Arabic, Creole. There are people from Latin America, Spain, France... It’s an advantage for us. We familiarize ourselves with the culture and language of others,” notes Kreim. Of course, it takes such a cohesive and talented team to remain undefeated after 11 games. While Kreim and Essome-Penda admit that the ultimate goal is to win the gold medal at the U SPORTS Championship, Raimondo reminded his players not to look too far forward. As shown by the rise of Kreim and Essome-Penda, the national level takes one step at a time.